Along with the previously announced 1.6 patch, Might & Magic: Heroes VII has finally received Steam Workshop support! 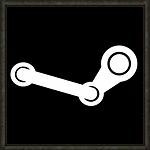 Steam Workshop is accessible through the Steam client and allows Steam players to play and share new content for the game, including maps and mods made by other Steam users. The MMH7 editor has also been updated to allow map publishing straight to Workshop. Unfortunately Steam Workshop and its content is available only for those who have purchased the game via the Steam platform. In addition to the new map “Global Cooling” introduced in the 1.6 update, the Ubi.com article features also a custom scenario map called “Blood on the Bay”, published also in the Workshop. As always, full patch notes are also available in the official blog post.